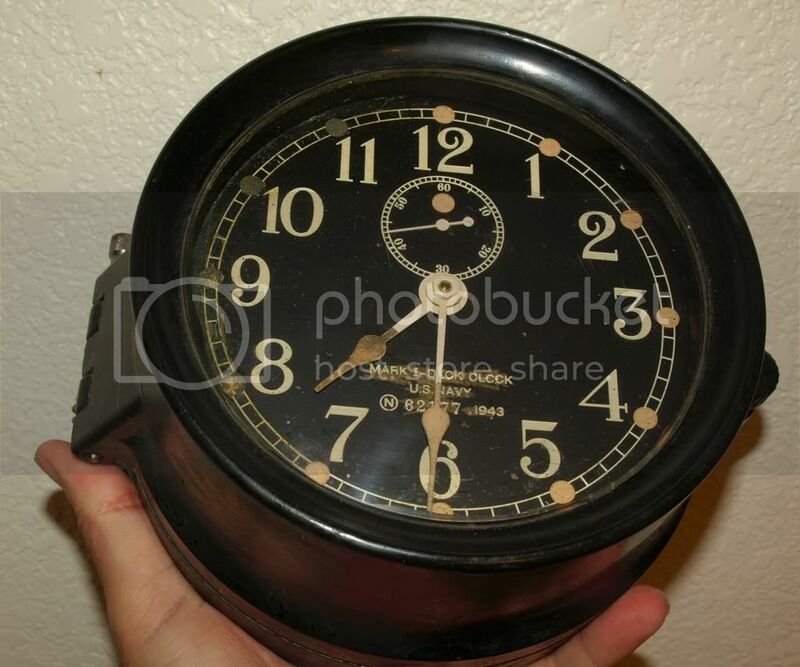 I found this Military Antique store nothing older than Vietnam war back to the Indian wars they even have a small museum of stuff that's not for sell next time I go I will bring the camera.Well I collect a lot of different military time pieces even clocks and I saw this Seth Thomas MK-I deck clock cir 1943 in working condition and the price was OK so I got it.Here is a photo of it.Since I am ex Navy I had to have it. Brilliant clock...the US had some great mil watches and clocks... as they made zillions of them most are pretty reasonable too... here's an ElgIn I had once... can't think who has it now..? That Elgin had one nice dial.